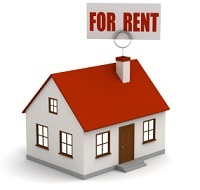 Q: I started renting out my property this year do I need to file a tax return? A: If you only started renting the property in 2014, you are not actually obliged to file an income tax return until October 2015. Although you don’t have to do anything just yet you should start to prepare. The first thing you should do is register yourself for income tax with the Revenue Commissioners. You then need to ensure that you register your first Tenant with the Private Residents Tenancy Board (PRTB) and inform both the Revenue and your Mortgage provider that you are now renting the property, as this can affect both mortgage tax relief at source and your mortgage interest type (i.e. fixed, variable or tracker). You will arrive at your profit, i.e. your taxable income by deducting your expenses from the rent collected. So, in order to get your tax return right, you will need to keep detailed records relating to the rental property, i.e. rental receipts, mortgage interest charge for the year (restricted to 75%), other costs such as fixtures, fittings, repairs etc. Another thing to be aware of is that when filing your first tax return in October 2015, you may be required to pay 100% preliminary tax on top of your 2014 tax bill, therefore its vital to prepare your return early to allow you budget for the potential tax payable. TaxAssist Accountants can help you with your first income tax return. Contact us on 1890987609 to book a free initial consultation.